Looks like the D750 is about to get a massive upgrade. The Nikon D750 is one of the best full-frame DSLRs around so even the merest hint that it is about to get superseded raises the excitement levels. And that's exactly what's happened: rumors are ramping up that we will see the Nikon D760 in 2019. The Nikon D750 is some four years old now. Yes, it's great at low-light performance and has been resolutely praised for its versatility but in camera years its wrinkles are starting to show. While official specs are yet to be revealed, the folks at Nikon Rumors reckon that the Nikon D760 will have 4K shooting capabilities, the ISO button is set to shift closer to the shutter release, we should also see an improved AF system and IQ at high ISO. It will also have the same AF control options as the D810. If you are already a Nikon D750 user – and given it's a camera still in our best DSLR camera list, you should be - and aren't quite ready to make the upgrade jump, don't despair as it looks like a firmware upgrade is on the way to give the camera a spruce. This will make changes to the memory card side of the camera, according to the report. 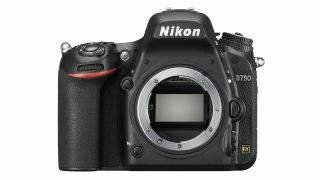 If rumors are correct, we should get an official Nikon D760 announcement in the first half of 2019, with it shipping in the latter half.